Hi everyone! Harvesting Hart was recently in the Detroit Metro Times Valentine's Day gift guide, but I noticed they put my blog website instead of my shop website in their article. So if you're here as a result of the Metro Times, welcome! 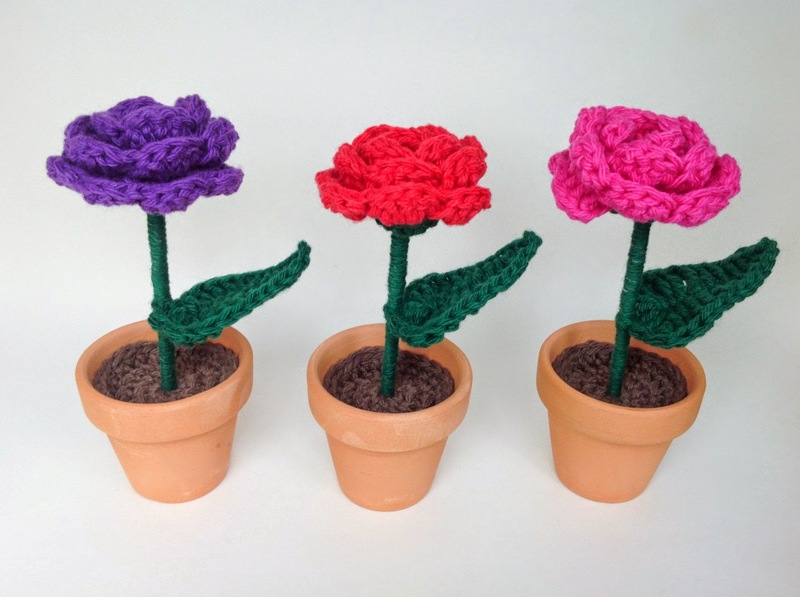 And you can find my shop with the crocheted flowers here! See the gift guide (along with a cute paragraph write-up about my shop) here. Hi everyone and happy Friday! Hope you're all doing well. 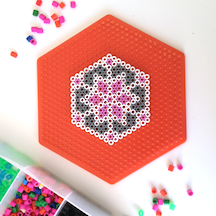 I have a cute and fun project for you today that took me back to my youth - how to make Perler (or hama) bead coasters. They're super simple and you don't need many supplies - just beads, a peg board and an iron. There are seriously so many things you can make with Perler beads that if you want to get inspired, search "Perler bead" or "hama bead" on Pinterest for a ton of neat ideas. I personally really like all the Mario-inspired creations. Since I'm on a kick of making things for my desk at work, I decided to make a couple coasters. One for my coffee mug and one for my water bottle. You can find your supplies at most craft stores in the kids section or check at a nearby thrift store that carries craft supplies (that's where I found mine!). I've also heard that they carry them at Ikea but can't confirm it. 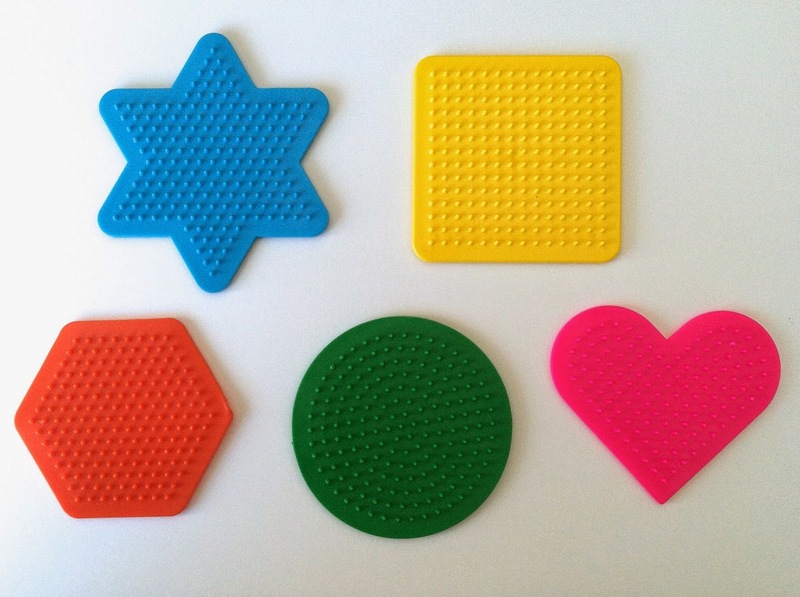 There are all different shapes of peg boards but for these I used the big hexagon pictured. Though we're at the end of January, not everyone has a cute calendar to hang up on their fridge or by their desk so I thought I'd share some free and cute ones I found while looking around for my own. The calendar shown above is from Oh The Lovely Things and was my top choice for a calendar since it's pretty and has beautiful colors and patterns. To print on a Windows machine, I downloaded the zip file and unzipped it, then opened each file in Windows Photo Viewer. I clicked to print, then picked the 5"x 7" size and unchecked Fit Picture to Frame. Then I printed, turned the paper around and printed the next. Easy! My husband has told me that in order to not be labeled as the crazy cat lady at work, I must limit cat items on my desk to no more than two. This is cat item number one and the second is this totally awesome cat-stronaut mug I bought on Society6. Though I really think that we crazy cat people don't care if people see us as such, so you may see more cat desk items on this blog anyway. :) Here's how you can make a cat mousepad (or a mousepad in any shape, really). Hi everyone! Happy belated new year! Ever since the craziness of the holidays, I've really been taking it easy. Nothing much creative happening and sales in the shop are down after Christmas so it's actually been a good time to think, relax and spend time with friends and family. I'm starting a new part-time office job on Wednesday, and it's got my mind buzzing about all the different DIY projects I can make to make my desk feel like home, which has gotten me looking at other projects like this one to start getting creative again. This weaving project was the first project I've seen in a while that's piqued my creative interest since being in my lull. Now I say that this is my first project, but really it's my second ... I tried making a rug but it ended up being a scrunched up bowl-type thing so I stopped short. 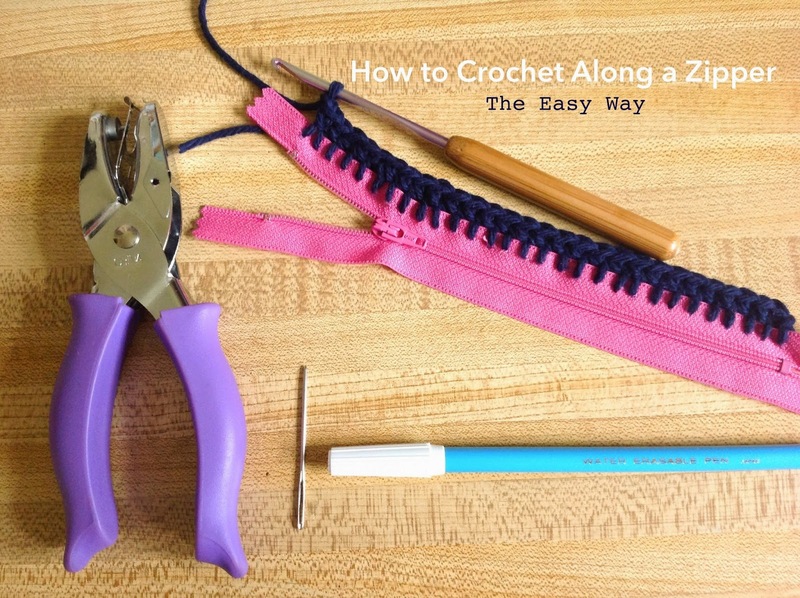 For this project, I followed this tutorial from A Beautiful Mess on basic weaving steps. The only supplies I used were a piece of cardboard from a box, scissors, miscellaneous yarn, a large yarn needle and a ruler. You can follow her instructions on the blog but here are a few tips from me. 1. Make sure you use cotton yarn for your warp (the foundation strings for your weaving). Acrylic or other types will be too stretchy and make your whole piece scrunch up when you cut and tie the strings at the end. 2. Be sure to not pull too tight when starting a new row. I'm sure you can see on mine that it tapers a bit and that's because the yarn started less taut then it ended. Loose is good, in my opinion. 3. Use a ruler for your shed stick to cut your weaving time in half. How it cuts time in half is explained in the tutorial. Just know you don't need anything fancy. A ruler or paint stirrer will do. 3. 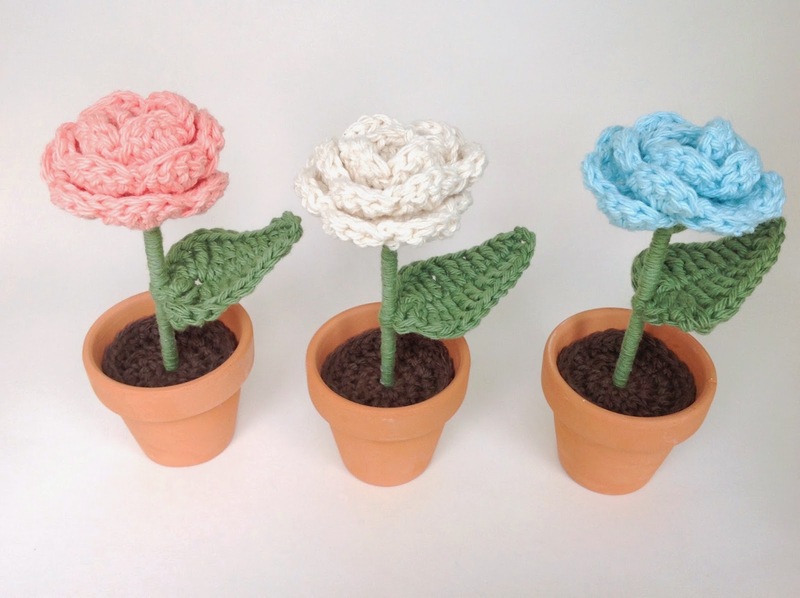 Use different textures of yarn. I love how this turned out with the colors and textures from acrylic, wool, cotton, hemp and chunky yarns. 4. Be creative with the finished product! I'm thinking I'll make my weaving into a zippered bag, but you can use it as a mug rug, under a table centerpiece, as a wall hanging, etc. See the tutorial here and have fun! If you're looking for a cute autumn decoration, these acorns are simple to make and look great in a bowl or scattered around a table. I found these acorn tops under an oak tree at a nearby church, but if you don't have oak trees in your area, you should be able to order some on Etsy. Work in continuous rounds. Do not join rounds. Fasten off. Weave in ends and stuff into inside of acorn. Using hot glue, glue open end of acorn into acorn top. Repeat to make many acorns! For more patterns, see my Craftsy or Ravelry stores! And don't forget to sign up for email updates on the right side of the page. Step 1: Gather your supplies. You'll need a zipper, 2mm hole punch, ruler, yarn needle, yarn and a washout marker or light pencil.